A hill station situated at a height of 6400 feet in the himalayas, it offers exhorting beauty and breath taking views of the mountains. It is a popular tourist spot for many both in the summer and the winter. In cold weather, it transforms itself into a snow covered winter offering scenic view of nature and the mountains. The most common attraction for tourists are the treks. By consulting any local tourist guides, you can find some of the most amazing trekking places in the world. Dense forests and tall mountains gives an amazing chance for nature lovers to get a glimpse of extotic wildlife in the region. It is also popular for its Skiing resorts and tracks. 570 km from Delhi, the capital of India, the most common mode of transport to Manali is by bus. As they are in demand throughout the year, it is best if the tourist book their bus travel well in advance. Necessary precautions must also be taken to make the bus rides more comfortable in the winding mountain paths. Private taxis and trains are also available in plenty using which you can get into the city. Trains have tracks that lead to amazing views and scenery of the hills and forest surrounding the area. It is a hilly pass located between mountains that shows the tourists and visitors the true meaning of majesty. The mountains stretch far into the skies and creates beautiful scenery and surrounding for the visitors. There are many temples and shrines in the area that are dedicated to different gods and goddesses primarily of the Hindu mythology. Hadimba temple, Maa Sharvari temple and Beas Kund are the popular temples in the area that are of significance and importance. Though getting there requires trekking through forests and paths, it offers a beautiful view of a majestic waterfall. There are many hot water springs in the area such as Vashist hot water springs and Kalath Hot water springs that can be hired by tourists and used to relax and enjoy. There are also many buddhist monasteries in the areas that are of religious significance and importance. The area surrounding them is calm and serene offering a peaceful atmosphere to visitors. 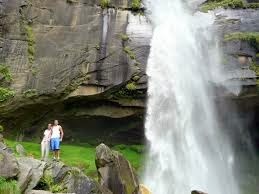 A waterfall that is worth visiting, it offers an exotic glimpse into the beauty and serenity of Manali. 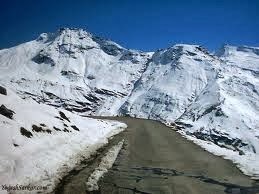 So Sweet and so nice climate in manali.